Edraw Organizational Chart Software - Create professional-looking organization charts for MS Word. With Edraw, It's easy to create professional-looking organizational charts for MS Word and other Office programs. Only drag the symbols from the libraries. Double click to edit the name, position, contact and more. Use the smart connector to create the relationship. 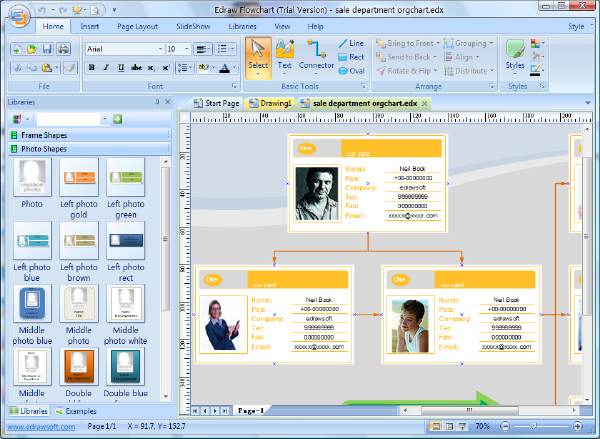 Since Edraw V4.0, it's easier to export the organizational charts to MS Word. 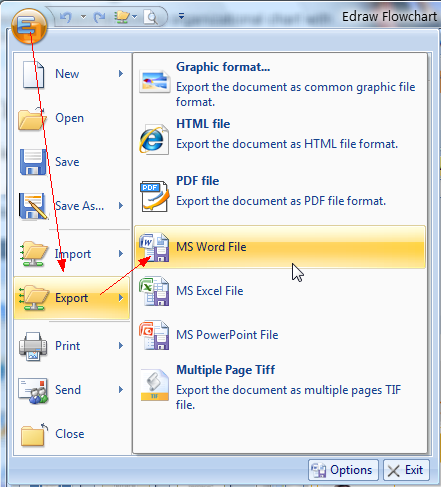 Only click the Export to Word button in the Ribbon menu after you finish your organizational chart in Edraw. Then Edraw will create a new MS Word file and launch it in your desktop. You can continue to modify and edit the org chart like other OLE Object. 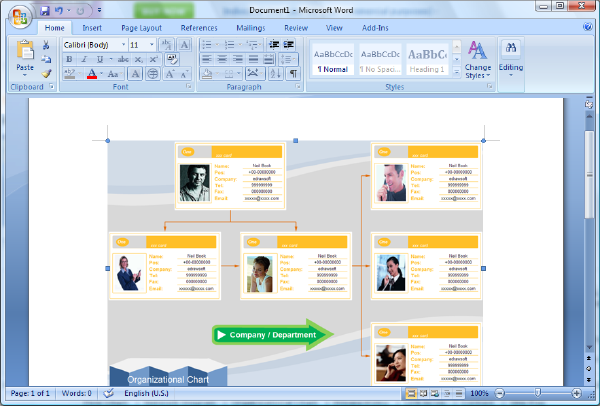 Double click the organizational chart object in Word, you can return to Edraw program and edit the object again. When you finish the modification, you can close Edraw. All the modification will be update to Word automatically.